It’s Cara Maria and Marie vs. Shane & Nelson elimination time! It’s the headbutt heard round the world… I mean the headbutt without any consequences whatsoever. In a season where “eliminated” teams loiter around in the Redemption House, of course, in Episode 13, new cast members are introduced. Bananas & Tony have the power vote. That’s right, Bananas finally has power. 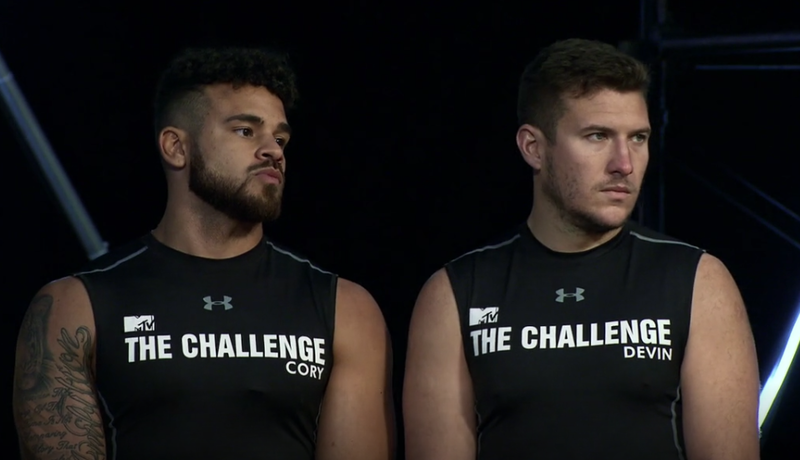 The conclusion of the eating challenge is here and it’s exactly what we thought it was. Bananas picks on everyone, but Angela, according to Amanda. Sitting by the pool, Bananas and Amanda open tonight’s festivities with a fight about if the people they have hooked up with this season would hook up with them in real life (10 points each). This time, there’s a tie in the elimination voting! Faith & Angela have their work cut out for them as they go into elimination against Hunter & Smashley. 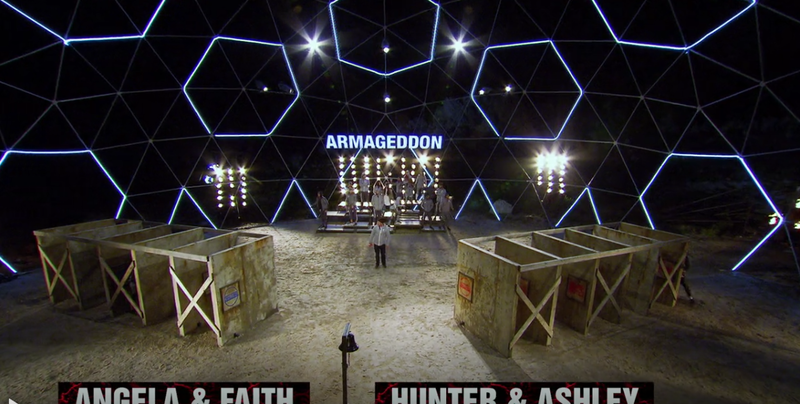 It’s Episode 7 and only three of the sixteen original teams have been eliminated. Now a team of mercenaries may join the game. At this rate, by the time this season is over, Veronica will be old enough to collect social security. MTV has had challenges with speeding trucks, but this season partners must make their way across a beam over a speeding train!